A few days back I wrote a post about building an indestructible toddler friendly iPhone case out of Lego. After going through a few high end covers (which were not cheap) I decided to give Lego a try, Lego being the answer to all my problems. It turned out great but has received mixed reviews. Negative comments usually being about the bulkyness of it. I obviously love it but decided a couple of nights ago that maybe it just wasn't eccentric enough. That night was one of those nights where I didn't have much to do, so while Mrs M tried to relax after a day of work I subjected her to the sound she hates most, as she put in a Facebook status update that night "Ah.... You know what sound I find most relaxing ? 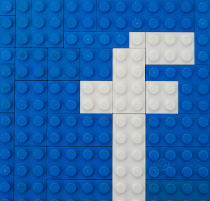 A thirty-something man rummaging through a pile of Lego last thing at night - bliss". 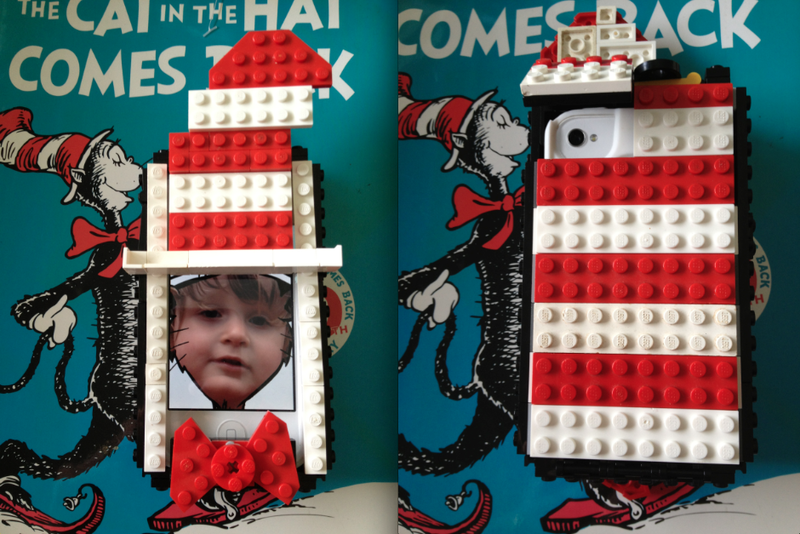 I'm a huge Dr. Seuss fan so building a Seuss themed Lego phone cover seemed like a good idea. I did say eccentric and it did need to fit my obscure personality. The basic shape was easy to build after making the last one so it took a lot less time to build. Mrs M looked puzzled wondering what I was doing but she's used to my evening Lego tinkering by now. I attempted to make the cats face but it didn't look right so I settled for an oversized hat to act as a partial screen protector for my new comical accessory. I added a spinning bow tie to the iphone cable cover which i thought gave a great effect. Obviously all ports were easily accessible it would have been useless otherwise. I finished it off with a photo using the cat in the hat photo app which i already had on the phone (surprise surprise). If your reading this and you are interested in how the basic shape is made send me a message and i will happily do my best to make a tutorial. That is so cool !!!!!!! The FB quote made me laugh. !